How DirectX 11 Can Look This Good. If you want to have a play with it yourself you can download the demo from the creator here. The recommended specs for it aren’t exactly mainstream though so it might not run particularly well on hardware that’s a couple years old now. Whilst I haven’t had a go of it myself yet there are a couple things that I picked up on in the video that I think are interesting, mostly because they give us some insight into how we perceive things as being realistic or not. For starters you’ll probably notice the large amount of blurring that’s present in the video with the only portion of the image that’s always clear being somewhere in the middle of the screen. In photography terms this is referred to as the depth of field of an image or put more simply the area of the image that’s in sharp focus. For the tech demo the depth of field is incredibly shallow most of the time which, whilst not being done in order to make rendering faster (it in fact makes it slower as the whole scene has to be rendered then blurred), it does have the effect of making the scene look at lot more realistic than it would otherwise. Now I’m not completely sure why depth of field works so well for making generated images appear realistic but the research I’ve dredged up seems to indicate that it has some to do with depth of field being used by our brains as a visual cue. Since most generated images are viewed on a 2 dimensional plane there’s no real depth to any of the images (does a picture of a hallway look like it’s continuing on through the monitor?) but replicating the depth of field seems to trick our brains into thinking it’s more realistic than it is. I’d bet that the demo wouldn’t be looking anywhere near as good if the depth of field wasn’t present and I’ll have to give it a look over to see if there’s an option to turn it off for comparison. There’s also some other sneaky tricks being used in there like the use of rigid bodies for all of the things being rendered on screen. Whilst the physics appears to be very realistic it’s probably the simplest kind of interaction to model given that a hard object on a hard surface is about as close to ideal as it can come. As far as I can tell there’s either only a single or small number of lighting sources present in the scene which would make the whole thing a lot faster to run. All this being said however it doesn’t detract from just how good this tech demo looks. There may be a ton of tricks used to get this looking the way it does but that’s what computer graphics are all about: finding those tricks and then using them to our advantage. Whilst you probably won’t be seeing many games based around this kind of tech for a while (the system specs alone are prohibitive) it does show what current generation computers are capable of producing and should excite you about the future possibilities. 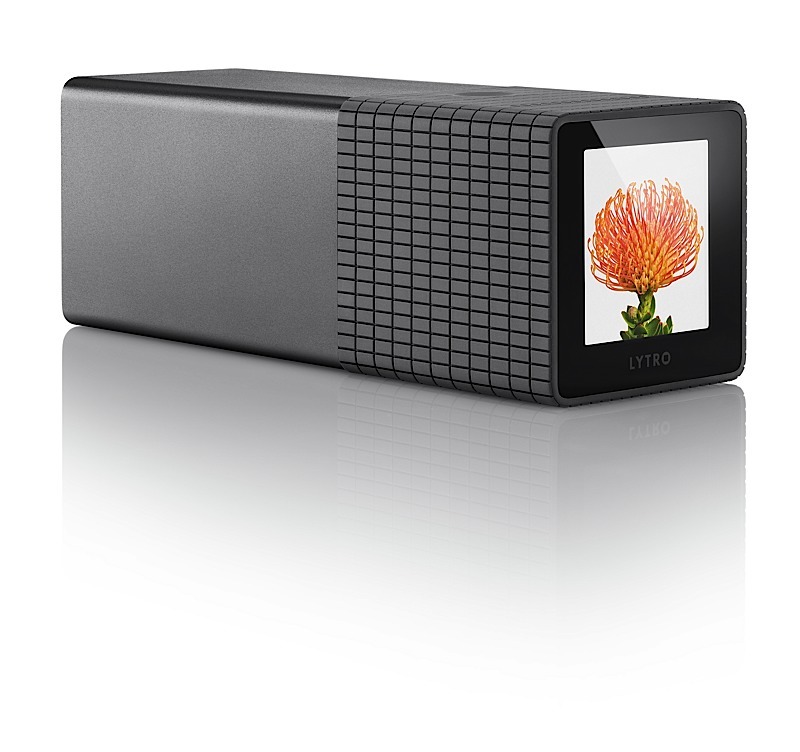 Lytro: Light Field Technology Becomes a Reality. One of my not-so-secret passions is photography. I got into it about 5 years ago when I was heading over to New Zealand with my then girlfriend (now wife) as I wanted a proper camera, something that could capture some decent shots. Of course I got caught up in the technology of it all and for the next year or so I spent many waking hours putting together my dream kit of camera bodies, lenses and various accessories that I wanted to buy. My fiscal prudence stopped me short of splurging much, I only lashed out once for a new lens, but the passion has remained even if it’s taken a back seat to my other ambitions. According to posts made by Boudoir photographers in CT, one of the greatest challenges is getting the focus just right so that your subject is clear and the other details fade into the background, preferably with a nice bokeh. I struggled with this very problem recently when we threw a surprise party for my wife and one of her dearest friend’s birthdays. Try as I might to get the depth of field right on some of the preparations we were doing (like the Super Mario styled cupcakes) I just couldn’t get it 100% right, at least not without the help of some post production. You can imagine then how excited I was when I heard about light field technology and what it could mean for photography. In essence a light field camera would give you the ability to change the focus, almost infinitely, after the picture had been taken. It can do this as it doesn’t capture light in the same way that most cameras do. Instead of taking one picture through one lens light field cameras instead capture thousands of individual rays of light and the direction from which they were coming. Afterwards you can use this data to focus the picture wherever you want and even produce 3D images. Even though auto-focus has done a pretty good job of eliminating the need to hand focus shots the ability to refocus after the fact is a far more powerful advancement, one that could revolutionize the photography industry. I first heard about it when Lytro, a light field based startup, mentioned that they were developing the technology back in June. At the time I was thinking that they’d end up being a manufacturer or licensor of their technology, selling their sensors to the likes of Canon and Nikon. However they’d stated that they were going to make a camera first before pursuing that route and I figured that meant we wouldn’t see anything from them for at least another year or two. I was quite surprised to learn that they have their cameras up for pre-order and delivery is expected early next year. As a camera it defies current norms almost completely. It’s a square cylinder with an LCD screen on the back and the capture button is a capacitive notch on the top. From that design I’d assume you’d take pictures with it by using it like a ye olde telescope which will be rather comical to watch. There’s 2 models available, an 8GB and 16GB one, that can hold 350 and 750 pictures respectively. The effective resolution that you get out of the Lytro camera seems to be about 1MP but the images are roughly 20MB big. The models come in at $399 and $499 respectively which, on the surface, seems a bit rich for something that does nothing but take really small photos. However I think Lytro is going the right way with this technology, much like Tesla did when they first released the Roadster. In essence the Lytro camera is a market test as $400 is almost nothing compared to the amount of money a photography enthusiast will spend on a piece of kit (heck I spent about that much on the single lens I bought). Many then will be bought as a curiosity and that will give Lytro enough traction to continue developing their light field technology, hopefully one day releasing a sensor for the DSLR market. From the amount of buzz I’ve read about them over the past few days it seems like that is a very real possibility and I’d be one of the teaming masses lining up to get a DSLR with that kind of capability. They’re not the only light field camera maker out there either, heck they’re not even the first. Raytrix, a 3D camera manufacturing company, was actually the first to market with a camera that incorporated light field technology. Looking over their product range they’ve got quite the selection of cameras available for purchase although they seem to be aimed more at the professional rather than consumer market. They even offer to convert your favourite camera into a light field one and even give you some rough specs of what your camera will be post conversion. Lytro certainly has its work cut out for them with a company like Raytrix competing against them and it’ll be interesting to see how that develops. On a personal level this kind of technology gets me all kinds of excited. I think that’s because they’re so unexpected, I mean once auto-focus made it easy for anyone to take a picture you’d think that it was a solved problem space. But no, people find ingenious ways of using good old fashioned science to come up with solutions to problems we thought were already solved. The light field space is really going to heat up over the next couple years and it’s got my inner photographer rattling his cage, eager to play with the latest and greatest. I’m damned tempted to give into him as well as this tech is just so freakin’ cool.